"Hogan was best known for his blunt answer 'digging it out of the dirt' when people asked him about his secret, but this book unveils a whole new meaning into what Hogan actually meant by that particular statement. Ultimately, this book really resonated with me on many levels. As a golf professional and instructor I've traveled a path with my own personal journey in discovering how to play the game at its highest level for five decades. I appreciate the effort and the fortitude that the author put forward in writing this comprehensive book. There are so many things that I agree with and concur in his writings because it deals with scientific laws of physics and aren't someone's opinions which can be quite misleading. This book isn't for the casual golfer because they don't invest enough time practicing or playing the game to care. However this book is an essential read in my opinion if you're a serious golfer looking to improve your game. Also this book is mandatory reading for anyone entering the golf profession who wants to become a higher caliber player and more importantly have a better understanding how to teach students the game the correct way. There are so many great things inside the pages of this book that I don't have the space in my column to discuss them...besides I wouldn't want to give away any intricate secrets spoiling it for the reader. That's why I recommend you order this book today and make your own personal journey." Tom Ward is an internationally known Professional Golf Instructor and former Touring Pro. Tom has set 17 course records in his career including a tied Guinness Book of World Record for shooting a 57 (13 under par on a par 70 course). He has taught golf in 45 countries. His students have ranged from beginners to winners on all the professional golf circuits (PGA, European, LPGA, Asian, Canadian, Mexican, South African, Web.com and mini-tours) as well as a who's who of high profile celebrities from the Sports and Entertainment industry (Movies, Television, Music, NFL, NBA, Major League Baseball and Hockey). Tom has had the honor of working with 3 former U.S. Presidents on their games. He has also instructed numerous CEO's of Fortune 500 companies and their clients. Two of his greatest passions have included working with children and the physically challenged. Working with people that have disabilities has taught him that the only limits we have are in our minds. More info about Tom Ward is available here. The complete review in Sports Page Weekly is available here. Ranked No. 34 in Golf Assessor's "Ultimate List of the Best Golf Books - Top 50 Picks" a list that includes classical and iconic works such as Ben Hogan's "Five Lessons", Harvey Penick's "Little Red Book" and Jack Nicklaus's "Golf My Way". Golf Assessor is the Web's No. 1 independent golf equipment review website. "In his legendary book 'The Five Lessons', Ben Hogan states that any golfer with reasonable coordination can break 80. He always spoke of "The Secret" to unleashing his full potential, but never said what it was. To his grave it went with him, and we thought the Secret would die a mystery. This book (Crouching Tiger Hidden Hogan), however, unpicks his cryptic clues on the subject, and ultimately brings the Secret back to life." The complete list and review is available here. This is an excellent reference book to those who aspire to improve their golf games, and I am one of them. For 47 years, I have been referring to Ben Hogan's Five Lessons and unsuccessfully trying to learn and execute the golf swing as described by Mr. Hogan in the illustrations/sketches shown in the book. I always felt that something is missing in those illustrations that I cannot execute the swing recommended by Ben Hogan correctly. Now, with your explanation of Hogan's swing thru Henny Bogan, everything became clear to me. I have now a good grasp, with the help of the concept of Benny Hogan's Elbow Plane, of how to execute Hogan-like swing consistently. My accuracy has improved significantly to within 10 yards of the target from 150 yards. . I highly recommend this book. 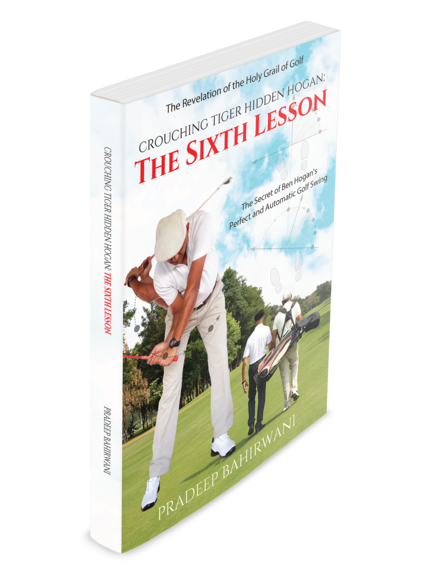 I took this book to the driving range and after an initial struggle was amazed at the simplicity yet insight-fullness of the sixth lesson. I was able to hit long and straight - again and again! I was always told that my swing was too "handsy" and the sixth lesson is all about getting the hands out of the way. Kudos to the author Pradeep for this excellent compilation that has given 20 handicappers like me a new ray of hope. Well worth a second and third read! I thoroughly enjoyed this thoughtful and well written book. I think the explanation of the Ben Hogan swing is the clearest I have read and the explanation of the "secret" the most plausible all supported by excellent illustrations. For those of you who have read and most likely re-read Ben Hogan's Five Lessons The Modern Fundamentals of Golf in an effort to obtain a consistent and repeatable golf swing without complete success as was my experience, then I recommend reading this book. The Sixth Lesson provides the key to understanding Hogan's Five Lessons. It provides some variations to your setup which allows one the opportunity to experiment to determine which works best without compromising the core principles of Hogan's iconic swing. This book is a must if you want to improve your swing, your game and your outlook on life. This book is the best one I've read so far which attempts to reveal the mechanics and inner workings of Ben Hogan's famous pivot based golf swing. A must read for Hogan fans. 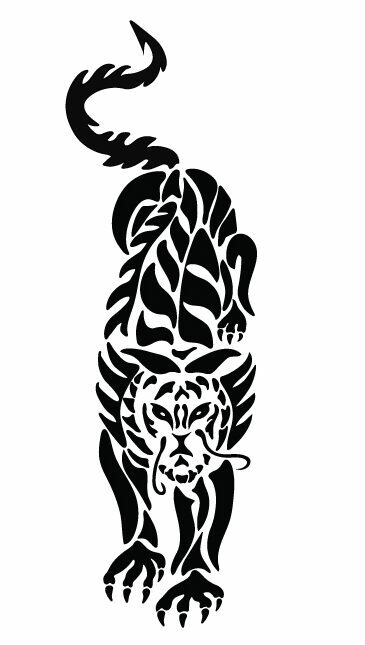 "Crouching Tiger is in you. Hidden Hogan is also in you. Both the potential and the ability to realize it is in you. Go forth and play the game the way it was meant to be played - at God's feet."